In medium bowl, beat egg product, soymilk and vanilla with egg beater or wire whisk until smooth; pour into shallow bowl. Spray griddle or 10-inch skillet with cooking spray; heat griddle to 375°F or heat skillet over medium heat. Dip bread into egg mixture until completely soaked. Place on griddle. Cook about 4 minutes on each side or until golden brown. Serve with syrup. 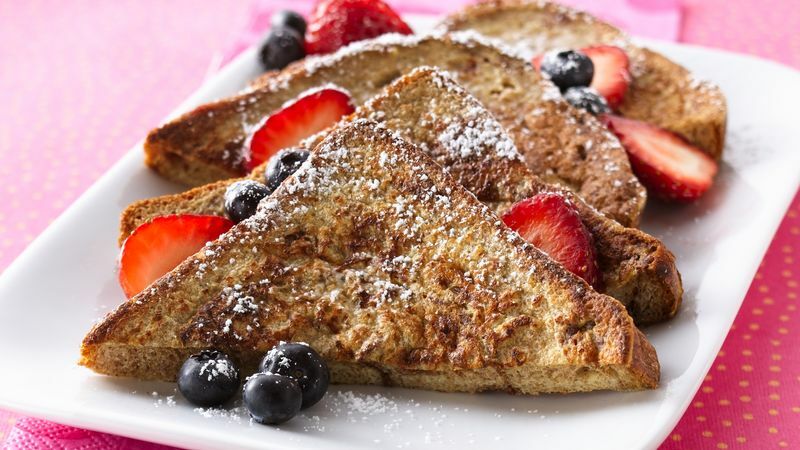 The key to making great French toast lies in bringing the griddle or skillet to the right temperature. Heat griddle or skillet over medium heat (375°F) for about 10 minutes before cooking.